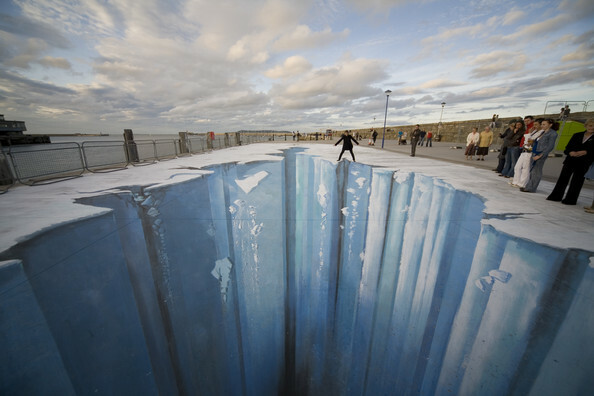 Nope, a huge ice crevasse didn't open along a pier in Ireland. 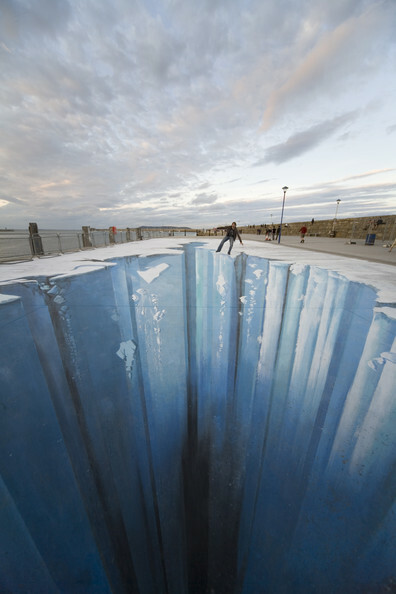 This is the work German wunderkind Edgar Mueller, a street artist who uses old-school painting techniques to create some seriously sweet paintings. 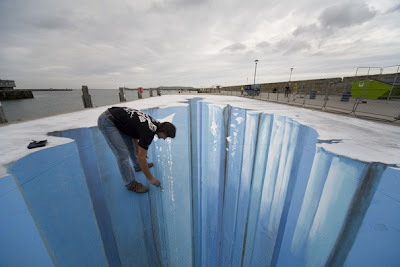 The 3D street painting "Crevasse" by artist Edgar Mueller is seen in this undated picture during the "Festival of culture" from August 21-24, 2008 in Dun Laoghaire, Irland. Edgar Mueller put a part of the eastern Pier into the ice age. This project has been supported by the Goethe Institution Germany.